After being blown away by their explosive live shows at this year’s BIGSOUND, Ivy League Records is incredibly excited to announce the signing of garage/punk act, A. Swayze & the Ghosts, who will join the likes of Hatchie, The Rubens, Rolling Blackouts Coastal Fever, The Teskey Brothers, I Know Leopard and more. The Hobart natives have amassed a fierce live following over the past two years thanks to their raw, bold and wild shows, heightened by the notably charismatic and enigmatic lead singer, Andrew Swayze. Over the past 12 months, A. Swayze & the Ghosts have performed at Falls Festival as triple j unearthed comp winners, MONA Faux Mo, A Festival Called Panama, Boogie Festival, Cherry Rock Festival, Bad Friday, By The Meadow and BIGSOUND, as well as playing alongside Jet, The Vines, Batpiss, Cosmic Psychos, Shame, Total Control and The Stems. The band’s most recent shows as part of BIGSOUND created a big buzz amongst punters and industry alike, earning spots in many ‘best of’ lists across STACK, triple j, Double J, TheMusic and more. ‘Suddenly’ follows A. Swayze & the Ghosts’ 2017 self-titled debut EP, and is the start of a new chapter for the band. Ivy League Records are excited to announce the addition of A. Swayze & the Ghosts to the Australian label's stellar roster of artists. 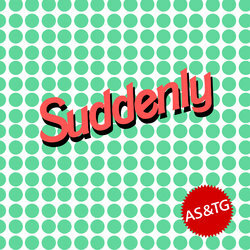 To mark the occasion, the band has released their blistering new single ‘Suddenly’ with an accompanying video, ‘Suddenly’ does justice to the urgent and addictive energy felt while watching them perform.